OnePlus is unlikely to be the world’s first company to sell a Snapdragon 855 phone after all, but believe it or not, Lenovo could beat everyone from Samsung to Sony and Xiaomi to the commercial punch with a beefed-up new version of the Z5 Pro. The Lenovo Z5 Pro GT is already the world’s first smartphone officially announced with Qualcomm’s latest flagship SoC under the hood, as well as the first confirmed device to pack a whopping 12GB RAM. It was only last week that OnePlus made headlines with a special McLaren Edition of the 6T upgraded from 8 to 10 gigs of the good stuff, and incredibly enough, Lenovo promises to release this impressive powerhouse of a Z5 Pro model on January 15... in China. There are unsurprisingly no words on international availability right now, while the pricing structure of the Lenovo Z5 Pro GT in the company’s domestic market is unexpectedly reasonable. A top-of-the-line configuration with the aforementioned memory count and a fitting 512 gigs of internal storage space will merely fetch the equivalent of $640 or so (CNY 4,398), with an “entry-level” variant packing 6GB RAM and 128GB digital hoarding room priced at roughly $390 (2,698 yuan). If you’re familiar with the non-GT Lenovo Z5 Pro, you already know what to expect in terms of design. The shockingly high 95.06 percent screen-to-body ratio of the Z5 Pro GT is achieved with the help of a slide-out front-facing camera, which is a bezel-killing trend that’s unlikely to catch on after all. 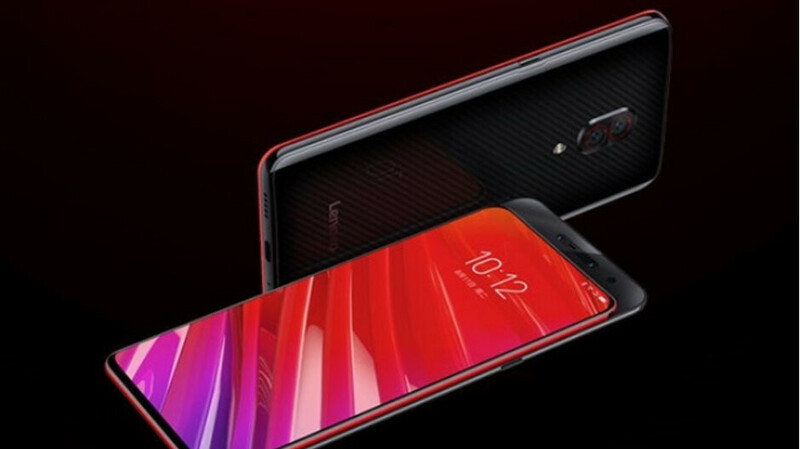 There are only two shooters on the back of the Lenovo Z5 Pro GT, including 24 and 16MP imaging sensors, with a fingerprint reader embedded into the 6.39-inch display, and a somewhat modest 3,350 mAh battery in charge of keeping the lights on. A lower-end Lenovo Z5s is also official at a starting price of only $200 or so, but contrary to speculation, the Snapdragon 710-powered 6.3-incher employs a waterdrop-style notch instead of the increasingly popular hole-in-display design. Another lie.. Probably... Announced Jan'2019, Sale on Sept'2019. And get delayed for about 9 months. Sounds about right. Lenovo actually made one of the most interesting phones I'm surprised! Everything about it is sounding great. Wow....another generic 6.25" screen on a phone with a teardrop notch. So original. 3350mAh battery, no 3.5mm jack, no sd card slot. Why, Lenovo, why? No notch or cut outs! But cue the "look at that forehead" and "it's not symmetrical" crowd.